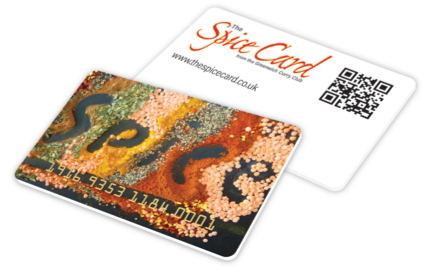 On a short stretch between the old town and new town of Swindon you will find a glut of choices for your spice needs. The Jewel in the Crown, we were told, was the one to choose. And clearly everyone else knows it. The restaurant has many inter-leading rooms so the atmosphere remains intimate enough for a big place. And the big place was buzzing with couples and larger groups of friends out for a Saturday. In return they get good food, attentive service and, wow, glitzy decor (including the waiters’ outfits). The interior designer certainly took the name of the restaurant to heart, possibly even a little over the top for some. Chairs are beautifully carved and upholstered, the dish warmers a notch up from anything you’ll usually see, and there are more chandeliers in here than a lighting shop. Waiters are dressed in traditional long, white shirts with fancy, colourful waistcoats. It was a nice touch to serve a ‘shared’ Sheek Kebab (£2.90) on separate plates, each with their own salad, rather than the usual one plate-two forks version elsewhere. And it was tasty, top-quality meat too. These different touches continued. As dishes are wheeled to each table a single-ring gas burner is used by the waiters to make sure each dish in a Karahi is bubbling hot. Then there is the complimentary brandy, of course. Eyes down from the decor for a moment and you could enjoy a Large Vegetable Biryani (£5.90) served with a large Vegetable Curry, or a Gourmea Garlic Chicken Massalla (£6.95). The food’s as good as the decor. Jewel in the Crown, 14-16 Victoria Road, Swindon, Wiltshere. Tel: 01793 522687 or 511943. Open: noon-2.30pm, 5.30pm-midnight.